Beautifully patterned strawberry and cream Rhodochrosite is cut to display mirror-image designs. The delicacy of the colors is hard to capture, the photo on the model probably shows the colors best. 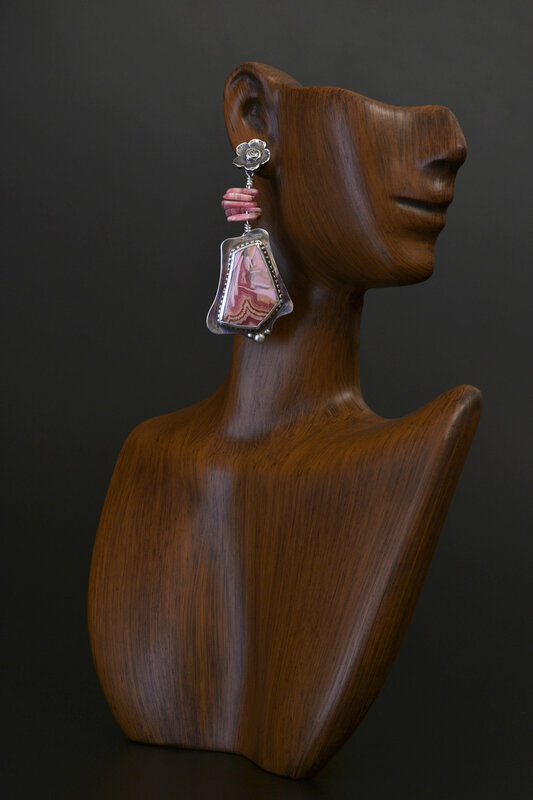 Rhodochrosite was first discovered in silver mines from Romania. 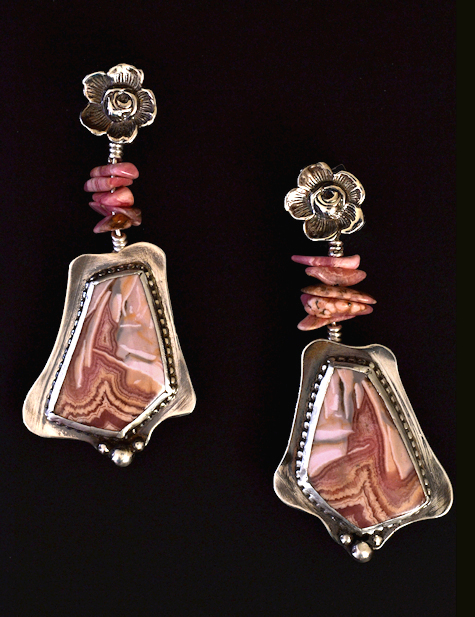 The banded stone in these earrings comes from Capillitas, Argentina. It is a relatively soft, manganese carbonate hydrothermal vein mineral which can form as stalactites and stalagmites as is evident from the stone in my Rhodochrosite Mandala necklace. Rare but exquisite Rhodochrosite crystals occur in Colorado deposits. David Zindell in Within the Stone says, "This stone is a painting of a poem -- or is it a poem of a painting?" 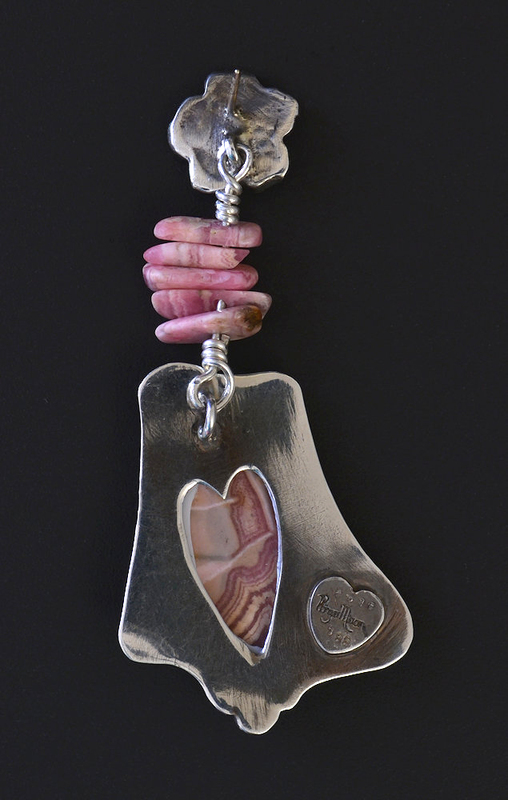 Trisha Keel gives it a number of attributes including Love, Enthusiasm and Industriousness. It appears Rhodochrosite is one of Melody's favorites since she says, "It contains a pulsating electrical energy which emits the strongest power in the universe, the power of love." I hope you will enjoy the unusual shapes of these stones and their beautiful colors. Let them as Melody suggests "assist in creating new worlds... worlds filled with love and dreams."